Like so many other independently-focused businesses, craft distilling is on the rise. But while more craft distilleries are opening regularly — with nearly 650 currently operating across the country and another 200 on the way — getting a new one off the ground is not an easy task, American Distilling Institute founder and president Bill Owens said. That’s where the institute is there to help. For the past 12 years, the American Distilling Institute has organized a conference aimed at teaching attendees everything they need to know about distilling, from how to start a company to how to keep one open, Owens said. This week, Kentuckiana will reap the conference’s benefits when Louisville hosts the program for the fourth time from March 30 through April 2. Starting this weekend, more than 1,000 craft distillery leaders and wannabes will descend on the city to attend presentations at the Kentucky International Convention Center, including how to raise money through crowdfunding, how to package products and how to market on social media. 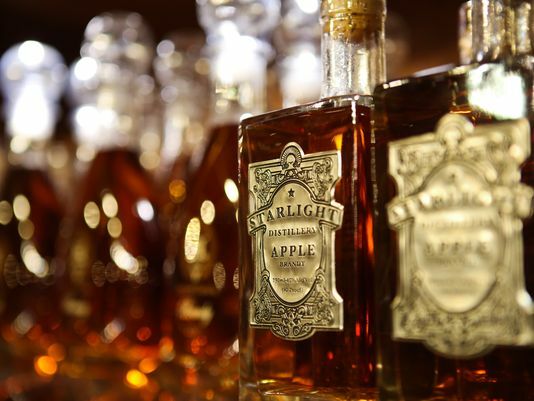 Workshops will also take place at several distilleries, including Alltech Brewery & Distillery in Lexington, Copper & Kings in Louisville, Willett Distilling Company in Bardstown and Huber’s Starlight Distillery in Southern Indiana. The conference has drastically increased from the 86 people it served its first year, and Owens attributes the growth to a culture change. People are more in-tune with what they’re eating these days, he said, and small distilleries fit with the local food renaissance. Now, craft distilleries are located in all 50 states, and the conference even receives international visitors, Owens said. As the industry continues to grow, Owens said he hopes the conference will be able to help establish craft distilling guilds in each state that can work toward creating comparable state laws across the country. State laws nationwide currently vary, Owens said, and streamlining them would allow future distillery owners to open and operate more smoothly. Reach reporter Bailey Loosemore at (502) 582-4646. Follow her on Twitter at@bloosemore.